Last night at Pepcom’s MobileFocus event at CTIA Wireless 2011, I had a chance to get my hands on with the new Galaxy Tab 8.9 and the improved Galaxy Tab 10.1 tablet. While we were not allowed to turn on the devices, the hardware alone was pretty impressive. Samsung demoed these tablets at their press conference earlier that day, but the company had locked up units in glass boxes. When I finally had a chance to pick one up, I realized how light and thin these tablets really are. 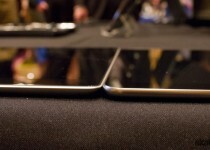 Both models are just 8.6 mm thick, which makes it just a hair-line thinner than the iPad 2. 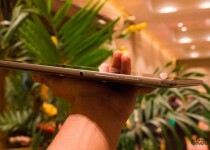 The larger Galaxy Tab 10.1 weighs only 1.3 pounds, which also makes it lighter than Apple’s tablet. 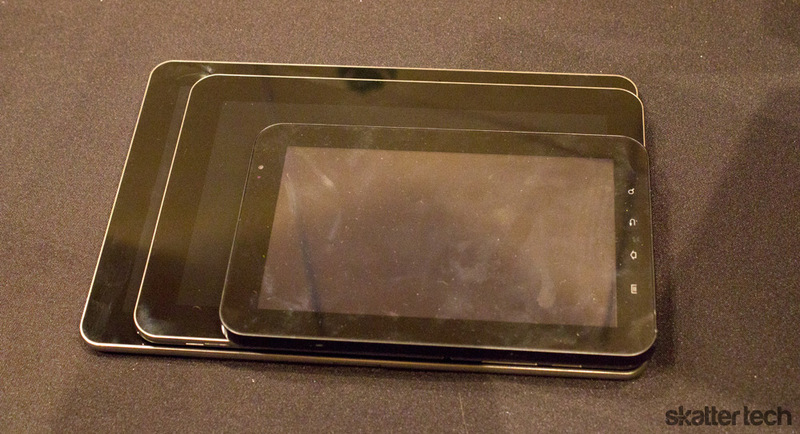 The mid-sized Galaxy Tab 8.9 is even lighter weighing only 1.04 pounds. 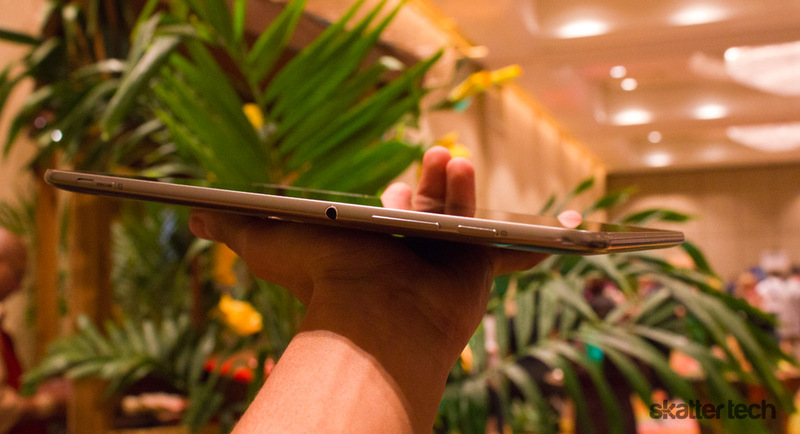 With the hardware packed inside and a great looking design, Samsung is clearly getting serious. 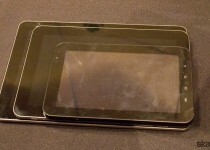 Last year’s 7 inch Galaxy Tab was a somewhat early stride as it still ran on Android 2.2. On that note, I should say that I was not too happy with Samsung’s new TouchWiz 4.0 customizations that modify the standard Google Android 3.0 Honeycomb experience. 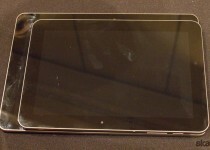 We were at least glad to hear official pricing for the WiFi-only iterations of the new tablets. 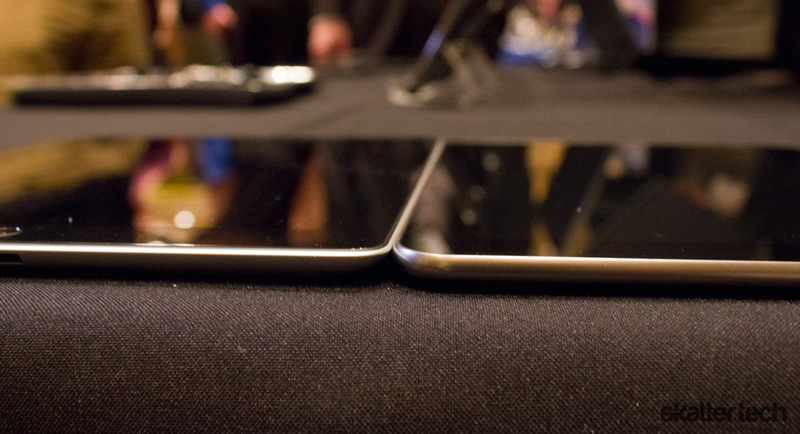 For those that did not follow our Samsung press event coverage, both tablets will ship in 16 GB and 32 GB flavors. The Galaxy Tab 10.1 will be $499 and $599, respectively. 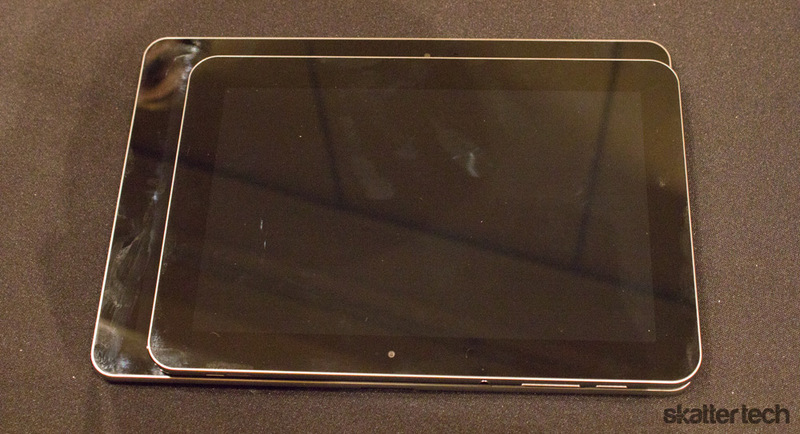 The Galaxy Tab 8.9 will run you $469 and $569, respectively. While Samsung only stated an “early summer” launch for the smaller model, the larger one will debut about 3 months from now on June 6th. 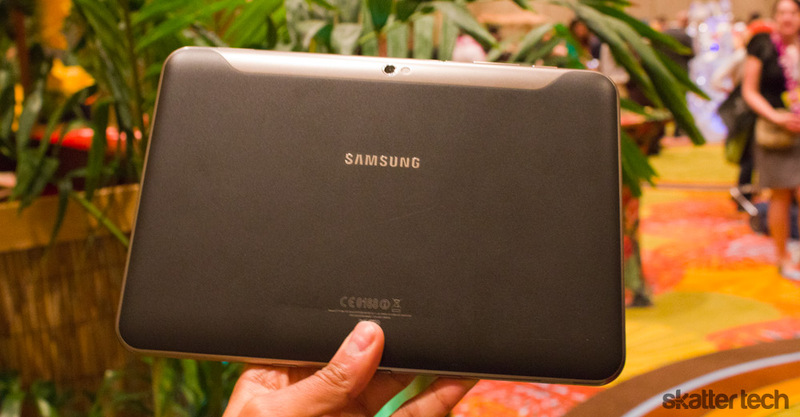 Samsung is getting units out to us as soon the tablets are ready to ship. We will definitely get our hands on these for an in-depth review, so stay tuned or subscribe for more details.